Posted by OromianEconomist in Human Rights. 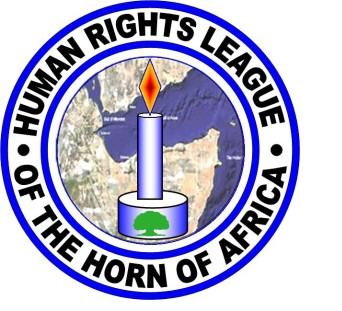 The Human Rights League of the Horn of Africa (HRLHA) is delighted to be closing 2016. The organization is deeply grateful to its valued Board members, reporters, members, and supporters for their extraordinary efforts to help the HRLHA continue to be the voice for the voiceless in the Horn of Africa in general and in Ethiopia in particular this year. In 2016, the Horn of Africa Region remains one of the most volatile regions in the world. The civilian unrest in Ethiopia, the civil war in S. Sudan, and Somalia, the mass exodus from Eritrea, Ethiopia, Somalia to neighboring countries away from executions and famine, were some of the notable crucial problems in the region. The year of 2016 has been a year of sorrows and chaos for nations and nationalities in Ethiopia, due to the deplorable evil actions taken by Ethiopian government killing agents against peaceful Oromo, Amhara and Konso protests in which the Oromo, Amhara, Konso and other nations and nationalities simply tried to exercise their fundamental rights to present their grievances. During the peaceful protests in Oromia, which have been going on for over one year in Amhara regional states and Konso Zone, a number of citizens have been massacred, incarcerated, tortured and disappeared. Due to its mistreatment of its citizens, the government lost control over the country as a whole and then declared a state of emergency to quell the dissent. Since the state of emergency was declared on October 8, 2016, many gross human rights violations have been registered- killings, abductions, and imprisonments. These continue to the present day among Oromo and Amhara nationals. The staff members and reporters of HRLHA have worked tirelessly to expose the government of Ethiopia’s tyranny and defend and promote human rights in 2016; their work this year has been at its most intense than any of the past nine years. We gave maximum efforts to bring to light the atrocities in Ethiopia in a challenging environment characterized by administrative sanctions on mass media, including social media, email, telephone, sanctions designed to hide the atrocities the government killing agents were committing. We are greatly indebted to HRLHA members, reporters and supporters who have shown courage and stood with us on this front to deliver their responsibilities of monitoring and reporting human rights abuses in Ethiopia under such difficult situations. 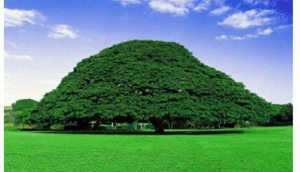 The HRLHA believes that 2016 was the darkest year in the history of the Oromo nation. To give just one example, a mother and father lost their three sons in one night in their home to the government killing squad Agazi force. The mother was forced by the killers to sit on her son’s dead body. In other cases, women were raped in front of their husbands. These are just to mention a few of the crimes known to have been perpetuated against Ethiopians by the dictatorial TPLF/EPRDF government crime groups. The HRLHA believes, however, that behind the darkness there is light for which we must continue fighting “It always Seems Dark Until the Sun Rises”. It might seem that the fight for our basic and fundamental rights is over, due to the repressions by the dictatorial TPLF/EPRDF government for over the past twenty five years since its formation in 1991. But it is not yet over, we should not give up, we must continue fighting for our rights until we win. Therefore, in 2017, we must redouble the fight to protect human rights, democracy and equality by exposing the dishonesty of the Ethiopian government to its ordinary citizens, and also to its political party members and government authorities. The biggest fight of all, however, is the struggle for the well-being of all Ethiopians, for equality, and for the elimination of all forms of discrimination. It is also the most difficult because the present reality still hits hard at those who live through the anxiety and anguish of poverty and violence. Finally, the HRLHA urges all peace, democracy and human rights lovers, governments, government and non-government agencies to work together, so that the core values of peace, democracy, human rights, security and development will be restored in the Horn of Africa region in the incoming year of 2017.